‘If the West bombs Islamic State militants in Syria without consulting Damascus, the anti-ISIS alliance may use the occasion to launch airstrikes against President Bashar Assad’s forces, Russian Foreign Minister Sergey Lavrov said. “There are reasons to suspect that air strikes on Syrian territory may target not only areas controlled by Islamic State militants, but the government troops may also be attacked on the quiet to weaken the positions of Bashar Assad’s army,” Lavrov said Tuesday. Such a development would lead to a huge escalation of conflict in the Middle East and North Africa, Lavrov told reporters in Moscow after a meeting with the foreign minister of Mali. Moscow is urging the West to respect international law and undertake such acts only with the approval of the legitimate government of a state, Lavrov said. “Not a single country should have its own plans on such issues. There can be only combined, collective, univocal actions. Only this way can a result be achieved,” he said. His comments came shortly after Washington announced plans to go on the offensive against the Islamic State jihadist group. The US military has already launched over 100 airstrikes against militant targets in Iraq, including a new series that the military said killed an unusually large number of Islamic State fighters, AP reported. Following the beheading of two American journalists, President Barack Obama is considering a military strike against Islamic State in Syria. The plans are expected to be announced in a speech Wednesday. Moscow has repeatedly voiced its readiness to cooperate with Washington in countering terrorism, Lavrov said. Secretary of State John Kerry, in response, has proposed that the US, Russia and countries in the region cooperate to work out “a balance of interests so that they could eliminate terrorism threat,” he added. “However, this hasn’t got beyond words,” Lavrov said. 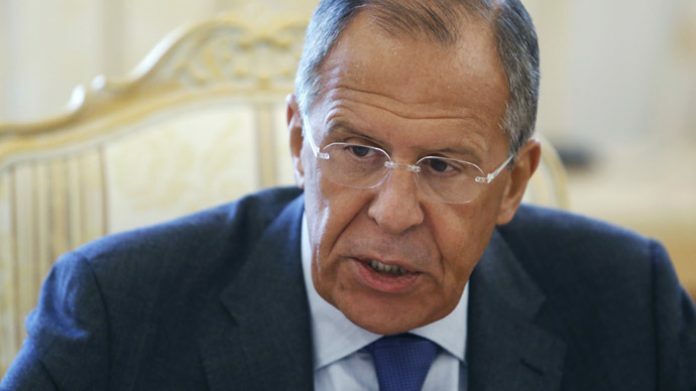 Russia has long warned its western partners about the threat posed by Islamic State, al-Qaeda and other groups that later merged into the Islamic Front, Lavrov said. 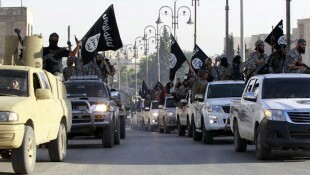 “We have repeatedly suggested to the US, the EU and leading European states to realize the extent of this threat. 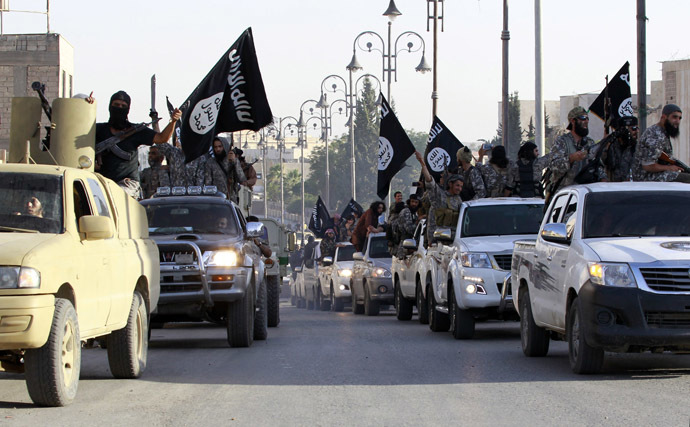 We have called on the UN to resolutely condemn terrorist attacks staged by Islamists in Syria. But we were told that it was Bashar Assad’s politics that gave rise to terrorism, and that denouncing such acts was possible only alongside with the demand for his resignation,” Lavrov said. In Moscow’s view, this represents “a double standard” and an attempt to justify terrorism. Up until the Syrian conflict, Russia and the West were unanimous that terrorism cannot be justified “no matter what motive was behind them,” Lavrov said. But in case with Syria the West had a “different, two-faced stance.” It was only when the terrorism threat which originated in Libya crept to Lebanon and then Iraq that Western countries realized it was time to deal with that, Lavrov said. “Having admitted it with a huge delay, western partners for some reason think that this threat should be eliminated on the territory of Iraq, while on the territory of Syria it might be left to the consideration of those who conduct the operation,” Lavrov said. Lavrov said that there could be no different interpretation when it comes to the common interests of the West, Russia and other states: “Terrorist threats must be eliminated and terrorists liquidated,” he said.